Ore Used for Crafting Items. Crew Members Used in Home Base Building. The primary way you will earn Fortnite Rewards is during Missions. The Rewards can vary depending on the Mission Level, Region, and Threat. How to get V-bucks in Fortnite, which are used to purchase items from the In-Game Store. Daily Quest will be your primary source for earning this in game currency, but there are a couple of other ways. Help Helping other players with outpost defenses in Plankerton and beyond provides V-bucks. Story Progression Completing quests and progressing through the game grants V-bucks. Tasks Tasks give out a tiny amount of V-bucks as a boost until you reach a cap. How To Get Gold in Fortnite. Tasks You will receive gold as a Fortnite Rewards after completing Tasks In-Game. How To Get Crystals in Fortnite. How To Get Crew Members in Fortnite, which can be found, won or even bought during game. crew members are used for improving the Home Base. Tasks You can receive Crew members as a Fortnite Reward from tasks. 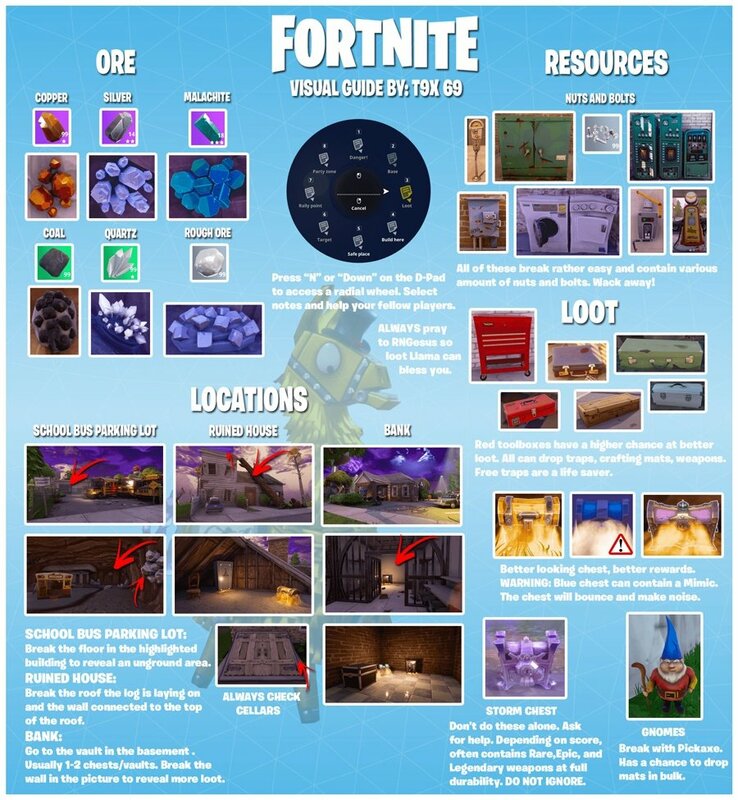 How To Get Ore in Fortnite. This item is used for Crafting Items and can be acquired multiple ways in-game. Tasks Missions will Reward you with Ore upon completion. Harvesting Ore can also be found when Harvesting Metal. How To Get BluGlo in Fortnite, which can be found through out the world. They appear as blue bubbles and can be collected during story Progression. Harvesting You can harvest these BluGlo from many locations using Siphon.